Hello all. The last picture of this group is a departure from the beauty of nature, but it is one that I find humorous because of the veiled truth it displays. 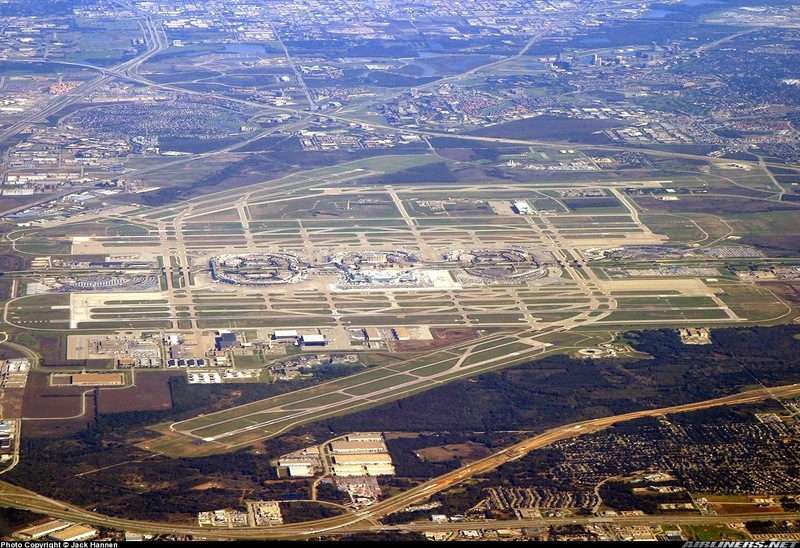 If any of y'all are familiar with the pilot community you know how it can become our consumate passion! 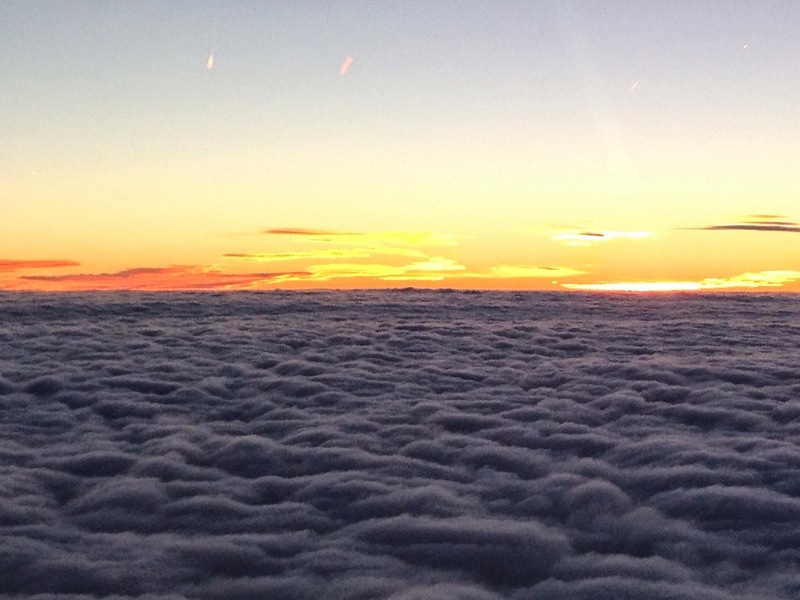 Sunrise above the clouds along the east coast of the USA from 26,000 feet. An inspiring start of the day! Bella Bella, Canada and a regular morning visitor to my balcony. 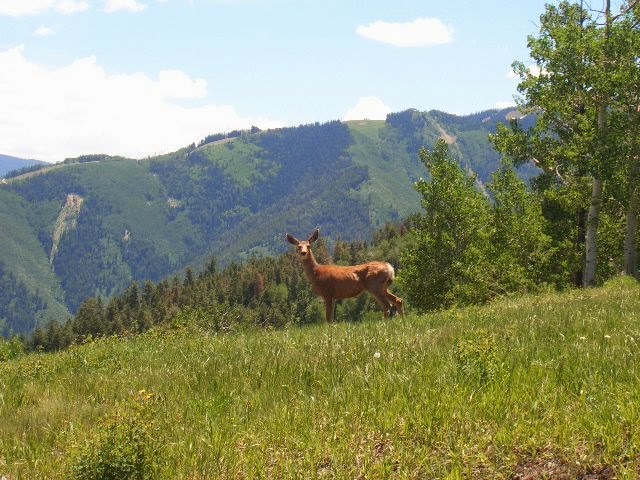 Hiking up Buttermilk mountain, Aspen, Colorado, crossed paths with a permanent resident. 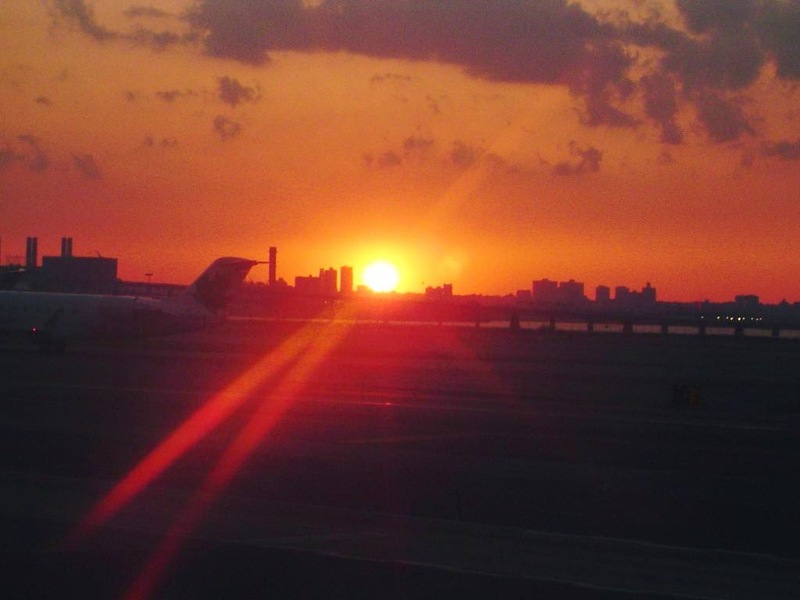 Sunset while taxiing for departure at JFK airport. Have a great day to all with hugs and blessings to each and every one! Susie, Glad you enjoyed the pictures and especially the last one! Hi Cat, thanks. I enjoyed that last one a lot too! Hi Roz, thanks. If you were to ask Nina she would say it is probably not too far from the way most pilots really think! (good thing she sent me that picture!) LOL! George when the heck is that company of yours going to have you flying EAST nearer to me? Oh yes, yes, beautiful photos as usual- but c'mon I could show you all over my fair area and you could take a plethora of photos. NOT too mention we have so many music festivals in the summer- you would never want to leave ( assuming your lovely wife was with you). Willie, unfortunately, we don't fly to your neck of the woods. Nina and I are ready to move to Canada, especially Nina. Let me know when a house on your street goes up for sale and we can be neighbors! Unfortunately, as much of an adventure it would be to live in Canada, neither of would last for long so far from our girls! I guess we will just have to meet halfway sometime on a vacation! Absolutely gorgeous pictures George! Love the sunrise one most I think. 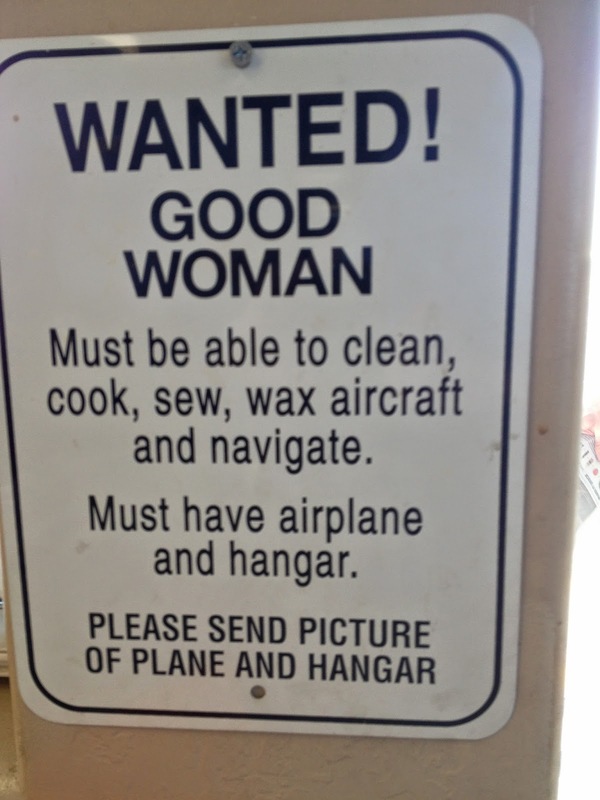 I've seen a few different versions of that sign, this was a first from the aircraft angle, lol! I hope you and Nina have an awesome 4th of July weekend :) Hugs. Hi Queenie, thanks. I admit I was a bit nervous the first time I landed at JFK, but it is a good airport and after a few times you figure it all out. That night the sky was especially gorgeous. I am glad you liked it..